Ah, what memories. Sad to hear of his passing. You do write rather well, Mr. Windsor. As usual, you hit the mark on this one. A hero to many I think along with his brother. I think you and I must have been at all the same meetings. I remember being in the pits at catalina watching at the tunnel of love and not being able to see anything of Leo as he passed beneath us, tucked so tight against the sleeper fence. What a driver ! I met Leo in the 90’s at Bathurst hillclimb where I was trying to do what he made look so easy. I found it wasn’t!!! A beautifully insightful tribute to a driver who I never saw race, but always followed the British Motorsport press. Peter, beautifully written, and you have some lucky memories. Leo’s daaughter is a good friend, and for many birthdays I have been getting signed pictures that sit proudly in my study. He was an icon of the era. Beautifully crafted as ever Peter. Leo was very much my role model and perhaps unwitting mentor. I followed hm when he was given a “guest drive” in the Ken Goodwin Rennmax Formula Vee at Catalina Park. In qualifying, I followed Leo and this did no harm at all to my lap times. He is the Patron “Saint” of the NSW F.Vee Association and his presence was sorely missed at the recent 50th anniversary of F.Vee in Ausralia at Wakefield Park. 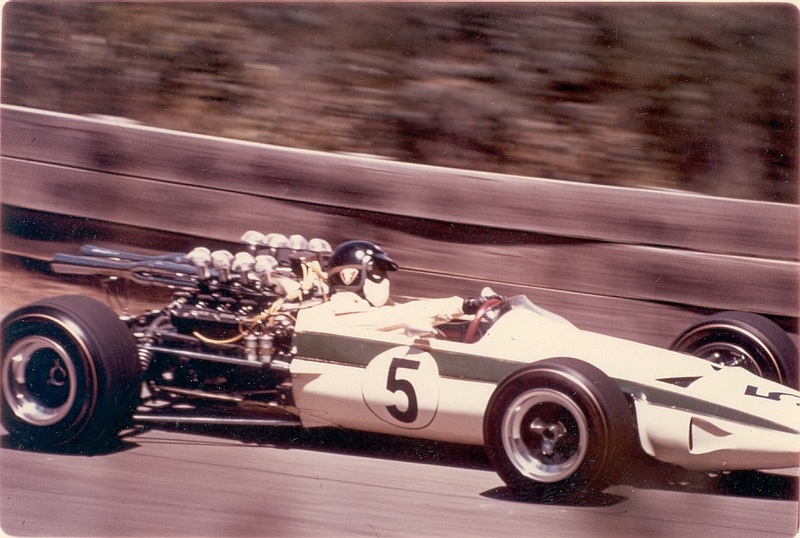 In 1971 at the JAF GP at Fuji, he very kindly offered me some laps in his Lotus in practice. The organisers, quite rightly, declined to accept this proposition and Gaye was able to breath again. Leo and “Pete” were great fun to be with and they set the standard for many an aspiring racing driver. We will join many others at Leo’s funeral. Best regardsto yourself and those listed above… Geoff Edenborough, David Clement and “Will”. Starting with that absolutely beautiful analoge image, somehow modern camera’s and digital images can never capture “the moment” the way film can. It’s a living image, it’s alive and tells the story which captures my imagination far more than a frozen perfect image ever can. Then there is the subject of your beautifully crafted words, Leo Geoghegan. What a legend. As always, lovely stuff, abounding with passion and a prodigious memory – or is it a good filing system? Leo Geoghegan was a lovely delicate driver, precise, tidy, ridiculously quick, often in cars that were in smaller classes or had smaller engines. I watched him win a GT race at Bathurst with that white Lotus Elite. Somehow around that rise and fall of 170 metres per lap he and his 1220cc-engined car managed to finish ahead of Bryan Thompson in a supercharged 2.4 litre Holden-engine Prad. I also heard him crunch a gear change on his slow down lap! Your pic of him at Catalina Park reminds me of him coming out on Sunday after a very wet Saturday practice and qualifying where the results had been amazing. 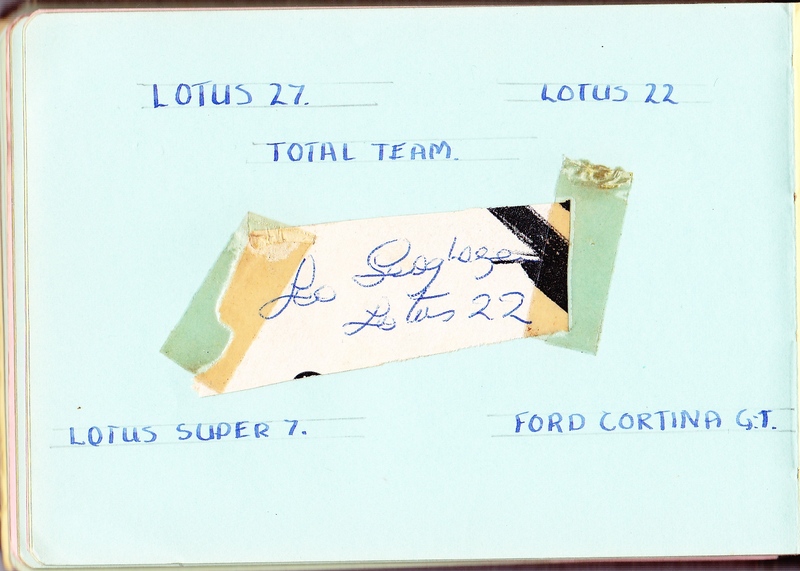 Leo at that stage still had a 1.5l Lotus, along with all the usual exponents in that category. Fastest of all categories on a cold and very wet Saturday was Frank Matich in the Lotus XIX. Second fastest was Pete Geoghegan in the ‘Stang. I was standing near Pete when Leo came by in his Lotus. 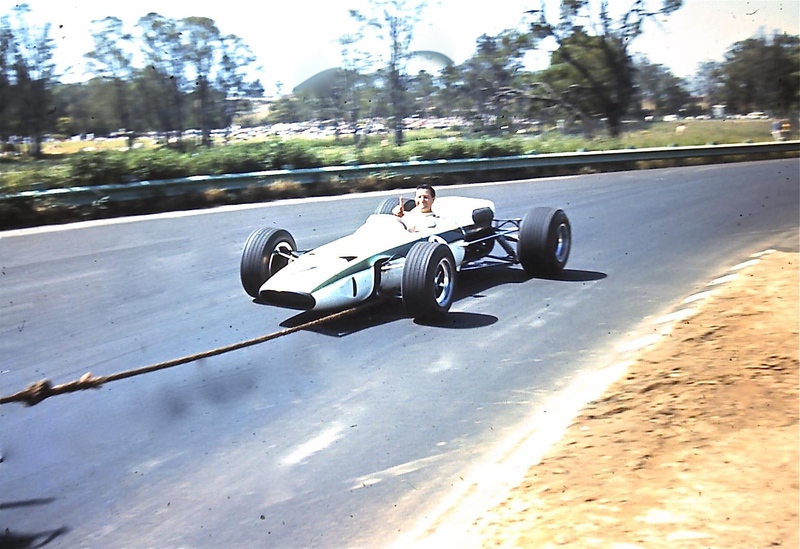 Amazing that you catch the excitement still of a race 50 years ago as if its yesterday. And yes that Lotus/Repco looks stunning. This is a fantastic column. Peter, there are plenty of articles written about Leo, but your’s is probably the best. He’s my father in law and I’ve just emailed that link to my wife, who is very touched. Thank you.